Realtors®, real estate agents, real estate brokers, real estate, property, houses, homes, condos and land located in Everett, Washington. You choose which Everett real estate agent best suits your needs! I am a dedicated realtor and family man. I will build a strong lasting relationship with all my clients to ensure a high level of trust. I have over 28 years in the corporate technology business and almost 6 years of realtor experience. I will provide you with quality professionalism as your realtor. I live and work in the north Snohomish county area. I will assist you with your real estate endevor, whether it be a home or vacant land. I have served all of Snohomish county and north King county for the past 16 years and have been recognized by CENTURY 21 western region as a Hall of Fame agent. 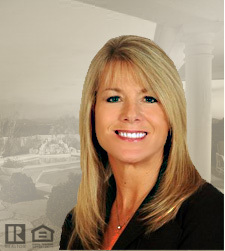 My specialties include; residential- new and resale, homes on land, land, condos, short sales, foreclosures. My office is located in downtown Snohomish in the same location for over 30 years! I take your business seriously and realize that a real estate transaction is one of the largest transactions in your life. I have a great team that specialize in residential Real Estate. We are always dedicated to our clients. We have the experience, knowledge, and intergrity to help our clients achieve their goal. We LISTEN to the specific needs of our clients and we work hard to meet them. WE will look after YOUR interest and make sure you are protected. CALL US! You want an agent serving all your Real Estate needs, having extreme Knowledge & Experience. Servicing my community since 1980 with PRIDE. Call 206-362-7029 and check me out. Thank You!!!! "Immediately after our first telephone contact I will send you an excellent, detailed information packet for the Greater Seattle area. This will include neighborhood reviews; neighborhood price ranges; school district information; entertainment information and excellent maps. Working with me is much like a sigh of relief in knowing I will help make your real estate buying experience as enjoyable as possible. I am a lifetime member of this community, and specialize in all of Snohomish County. Whether buying or selling my goal is meeting the needs of my clients, and being there for them even after the transaction has closed. Thank you to all of my past and present clients. Working with you is a pleasure, and the friendships I have made is the greatest gift of all. Coming from a business and IT management background, Ingrid brings a fresh and technical approach to our team! With over 10 years of experience leading multi-million dollar, complex, and large scale business and IT projects, Ingrid has the proven skills of a seasoned negotiator. This background helps Ingrid be able to bring to the team innovative ways to provide services to our clients by implementing effective tools and processes to simplify the complexity of buying, selling, and/or exchanging real properties. She also has the energetic enthusiasm that clients and fellow agents appreciate and collectively, her overall skill sets are invaluable.